What is the M.O.M. Initiative? Today, I have a very special post for you. There is a new website I’d like to tell you about. This is mainly for the ladies. However, men, I know there are ladies in your lives. Please let them know about this site. While many women dream of being the perfect mom who has all the right answers, never raises her voice, and never has to count to three, we all know it’s not always easy being a mom. Those sweet, little bundles of joy don’t come packaged with instruction manuals or warning labels and moms are often left to figure it out on their own. The M.O.M. 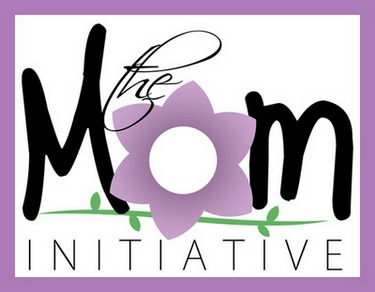 Initiative is an acrostic for Mothers On a Mission to Mentor Other Mothers. It exists as a group of moms and a package of resources to equip, enable, and support women as they experience Titus 2 in real life. We want to help moms become the best moms they can possibly be. The M.O.M. Initiative website offers virtual encouragement for real life moms. The website exists as safe place to grow as a mother, to gain a better understanding of what a mother is and what a mother does and to foster and support mentor/mentee relationships. Along with practical tips, helpful tools, godly wisdom and informative insight on current issues, The M.O.M. Initiative website also offers a private chat room where a mom can connect with a virtual mentor and find help in times of need. The website offers help for the mentor as well as the mentee. The articles on The M.O.M. Initiative website are provided by a wonderful group of moms who are passionate about ministering to the hearts of mothers. Some are writers, speakers, counselors, nurses, or experts in their fields, yet they all devote much time and effort to serving other mothers in whatever season of life they find themselves. The M.O.M. Initiative workbook is being developed to serve as a tool in the hands of Christian moms to help foster mentoring relationships beyond the four walls of the church and take Titus 2 to the streets. It will be an eight week study containing five lessons per week. Each day the mentee will be presented with biblical truths as well as mental, emotional, physical, spiritual, and developmental needs of a child. She will also gain insight through thought provoking questions encouraging her to implement proactive mothering techniques. The workbook will also provide a M.O.M. mentor guide and a missional planning guide in the back of the book. Summed up, The M.O.M. Initiative is a missional mentoring package of resources that will give Christian mothers an easy, hands-on approach to passionately pursue mentor relationships with younger mothers and mothers-to-be, and ultimately impact the next generation for Christ. How Did The M.O.M. Initiative Get Started? The M.O.M. Initiative was birthed from founder, Stephanie Shott’s own story. At the age of nineteen, she was a single mom. Without Christ and without a mentor, she made a series of serious choices that affected her precious young son. After becoming a Christian five years later, she learned being a mom is much more than a three letter word and a handful of sacrifices. She also realized the significance of Titus 2:4-5. What’s the Vision for The M.O.M. Initiative? We believe that if the hand that rocks the cradle rules the world, then the church that mentors those hands will win it. The M.O.M. Initiative is not just a book. It’s not just a website. IT’S A REVOLUTION! We are mothers on a mission to mentor other mothers and we really want to change the world one mom at a time! Won’t you join us? To join the revolution and become a M.O.M. Mentor, please click here. No matter what age you are, from very young mother to a grandmother, there is great take-away to use for yourself or to share with others. Hope you’ll hop over and take a look! About 14 years ago, I read an article about Mentoring Moms, a group that connected younger and older women. I told a lady who would become my mentoring mom about it – and she started it. It so blessed my life. I love this, Lynn! Thanks for sharing it:) We women need encouragement and mentoring from all age groups – a Mary/Elizabeth kind of mentoring! Hey, Maryleigh! Thanks so much for taking time to read about the new site. I love your comment! As always! Bless you!